The story of “Via Antwerp. The Road to Ellis Island” begins in the heart of continental Europe, from where it journeys to Antwerp by train, where it briefly dwells on the medical and administrative inspections in the historic buildings of the Red Star Line shipping company after which it crosses the Atlantic and ends in Ellis Island. For decades, immigrants to the United States had to undergo a medical examination and be interviewed in Ellis Island before being admitted to the country. The processing buildings on Ellis Island are the mirror image of the buildings in Rijnkaai, Antwerp where the Red Star Line Museum is located. The “Via Antwerp” exhibition will run throughout the summer of 2016 in the temporary exhibition space on the first floor next to the Great Hall of Ellis Island, where immigrants waited to be interviewed. If the walls of Ellis Island could talk, we would be astounded by the stories they could tell. This is where the final decision was made: who was admitted into the country, who was turned back (provisionally). The exhibition recounts the stories of passengers who underwent examinations in Rijnkaai and in the Great Hall in Ellis Island. It also examines the role the Red Star Line played in the lives of such famous passengers as Albert Einstein and Irving Berlin. 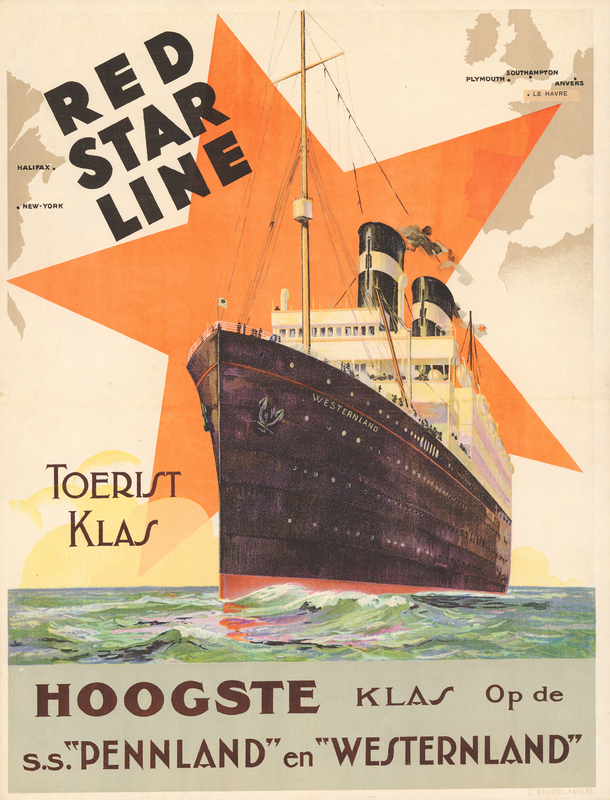 You will also be able to see a model of S/S Vaderland, the Red Star Line’s first ship and an amazing selection of posters designs by Henri Cassiers and drawings by Eugeen Van Mieghem and several other artists. 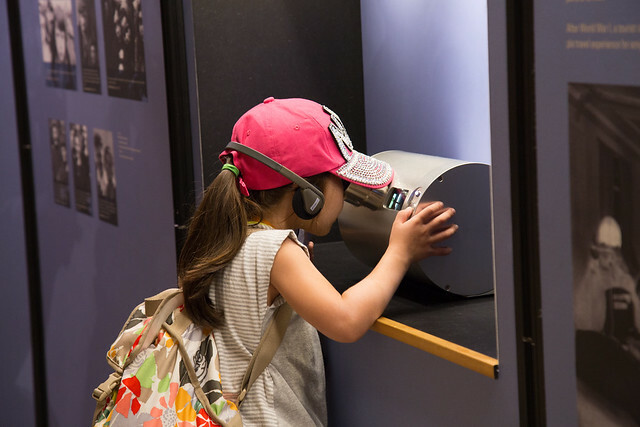 The exhibition is part of the official programme of the Centennial Year 2016, which celebrates the 100th anniversary of the U.S. National Park Service, which provides support to and protects the Statue of Liberty National Monument and Ellis Island. Discover our events, talks & music about the Red Star Line and Irving Berlin below. Among the two million Europeans who traveled to America on the Red Star Line was a five year old boy from Russia. The boy’s name was Israel ‘Izzy’ Beilin. He would grow up to gain world-wide fame as Irving Berlin with songs like 'White Christmas', 'Puttin' on the Ritz' and 'There's No Business Like Show Business'. Explore Iriving Berlin's early life and work. Music by cast members from Holiday Inn, the new Berlin musical on Broadway. Join us for an evening of song and talk about Irving Berlin’s long and glittering New York career. Explore the transition from film to stage of HOLIDAY INN, the 1942 Academy Award© – winning movie with songs by Irving Berlin that is making its Broadway debut this fall. Find out how the Red Star Line helped form the core of New York banker J.P. Morgan’s International Mercantile Marine Company. Bram Beelaert, curator of the Red Star Line Museum in Antwerp, presents the history of the fleet of passenger ships that brought millions to US ports of call.